"The alarm clock rang shortly after half past five in the morning. We quickly got dressed, packed the rucksack and ran down the hill. I shone a torch onto a narrow path of stone and loam and onto my friends feet in front of me. He carried a tripod. It was pitch-dark when we arrived down at the sea and unpacked a camera. In half an hour we knew it would be as light as day. What we didn't know: that the day dawning now, the 26th December, was the day when, five hours later, the Tsunami would come." 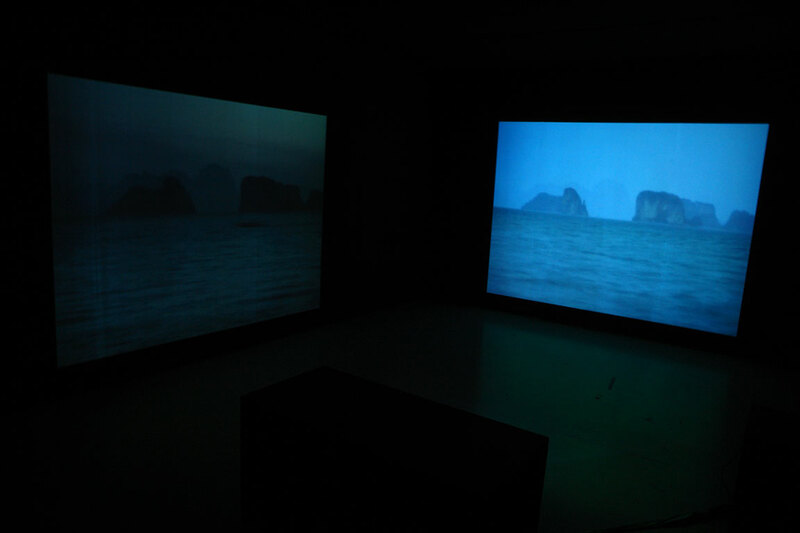 Two films are projected onto opposite walls of a room. 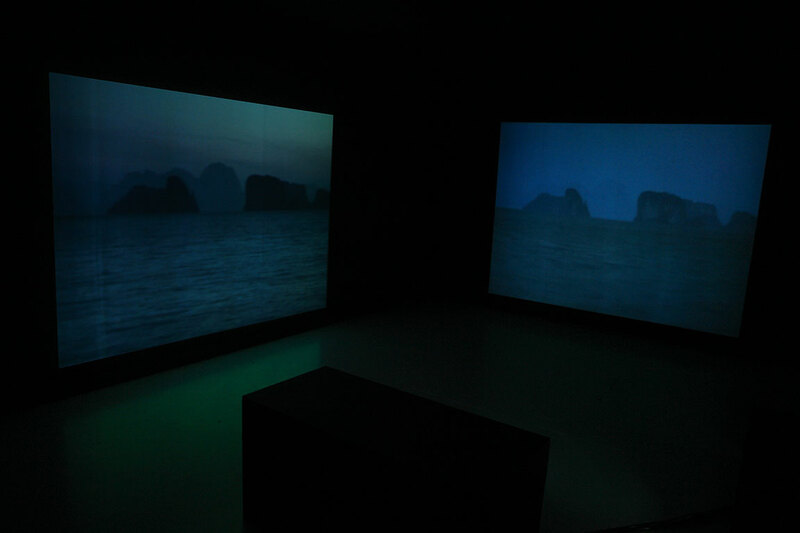 Both films show the same view over the sea at Koh Yao Noi, where bizarre rocks jut out of the water. One film starts with total darkness, one can only hear the sound of ocean waves. Then, the morning dawn appears, nature awakes with the voices of birds. Like patterns boats go out into the sea. 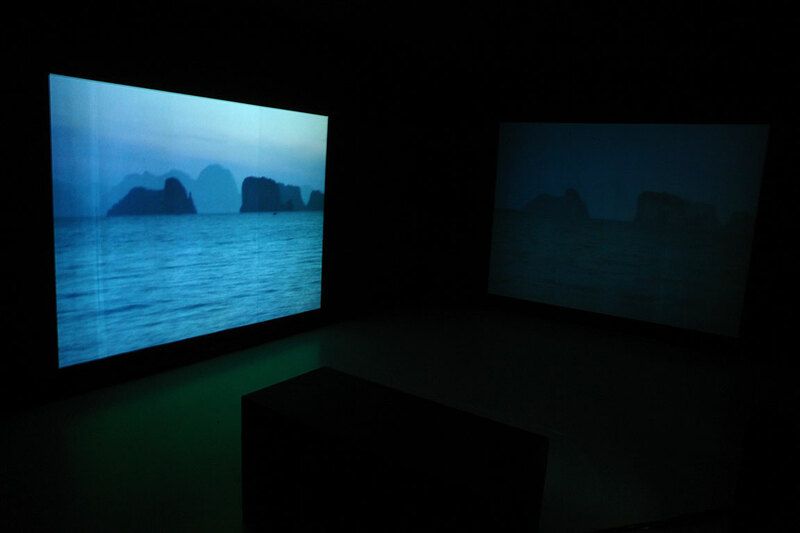 The other film shows the same view while it is getting dark in the evening until the night begins. Between sunrise and sundown there was the Tsunami; nothing in the films indicates this fact. 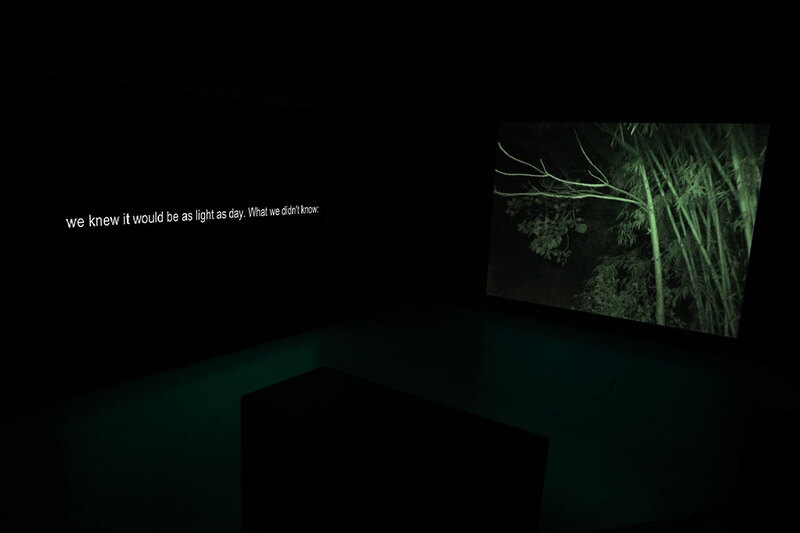 Paradoxically, the catastrophe is present in the room by its absolute invisibility. At the time of the Tsunami I was on the island of Koh Yao Noi (South Thailand). I worked there to prepare a future project; therefore I recorded videos every day at sunrise and sundown. I also did so on 26th December 2004 without any knowledge or premonition that a Tsunami would come from the sea.